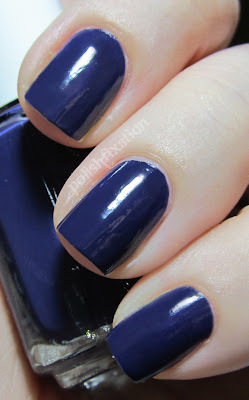 polish fixation: Essie Resort 2012! Hey guys! I have the Essie summer collection to share with you today, Resort 2012. Last year's resort collection was really great so it had a lot to live up to, it totally met my expectations! Here are the pics so you can decide if you agree! 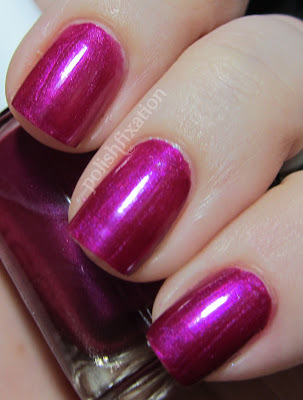 Sure Shot is a vivid metallic shimmer that is super shiny! The pigment in the polish is really deep which is nice, I painted on two coats but I probably could have done one. I really love this color, I think I will use it for my next pedi! No More Film is a a dark, deep purplish blue. Another highly pigmented color which could almost be a one-coater, except the 1st coat was a tad streaky so I had to even it out with the second one. This color is pretty unique to my collection, which I always welcome! Pink-A-Boo is a sheer light cotton-candy type pink. The finish on this polish is amazing! It's a glass-fleck type finish with a gorgeous blue shimmer! 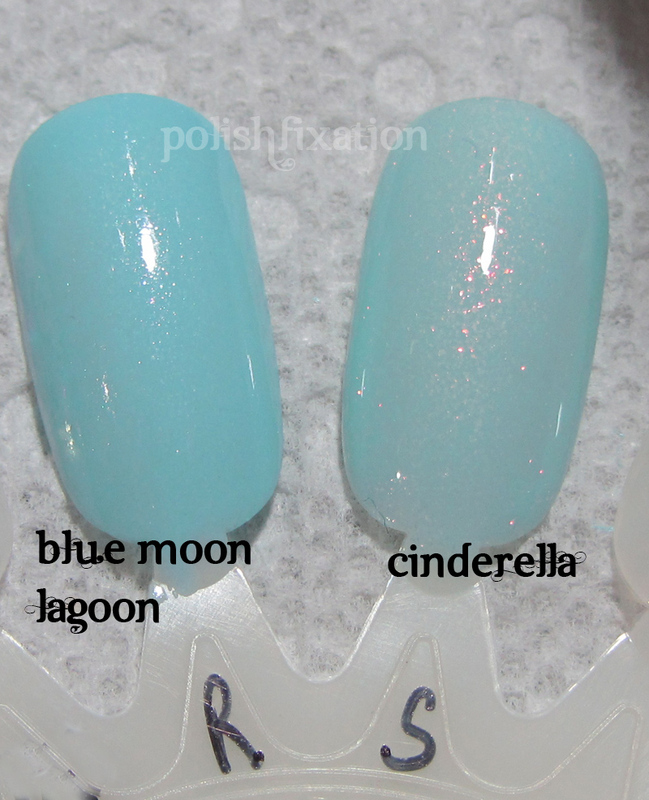 It reminds me of the opposite of SinfulColors' Cinderella (which is a sheer light blue glass fleck with a pinkish shimmer). I had to do three coats and in the pictures there is still a little VNL but in person that was much less noticable. I might try this one out with a light pink cream "underwear" next time I wear it. I rarely love a light pink, but this one is incredible! She's Picture Perfect is a violet, almost periwinkle but not quite, shimmer. The shimmer is pink but very subtle. If you look closely at the first pic above you can definitely see that shimmer peeking through. This color was a little sheer, but only needed two coats. It's also very unique to my collection, so it's a win for me. All in all I am incredibly happy to have this collection because I adore all of the colors! Do you have the Essie Resort 2012 collection yet? Which color is your favorite? Pretty colors but my favorite is pink-a-boo! I love No More Film! Not a pink gal, but love the blue shimmer in Pink-A-Boo. ooh, I just picked up Sure Shot and She's Picture Perfect!! I think I will wear the second one tomorrow!! 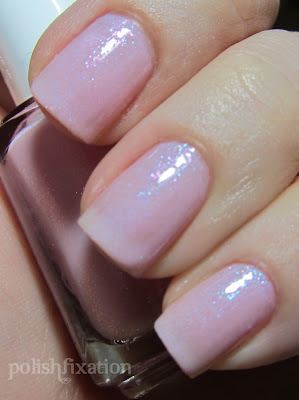 I have a question: do you know if Pink-a-Boo is similar to Nicole by OPI's Kim-pletely in Love? TIA! Pink a Boo looks so pretty with the subtle blue shimmer! These are pretty. I wish the shimmer was a little more noticeable in She's Picture Perfect.